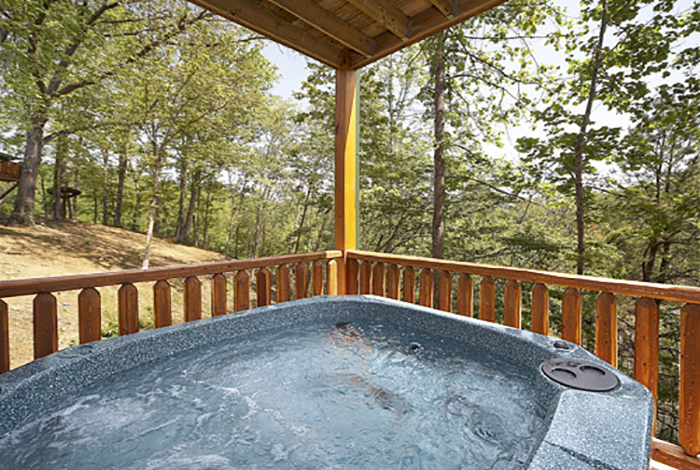 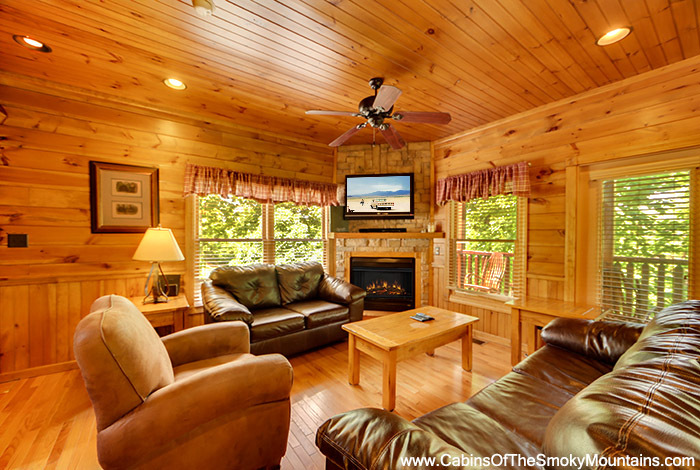 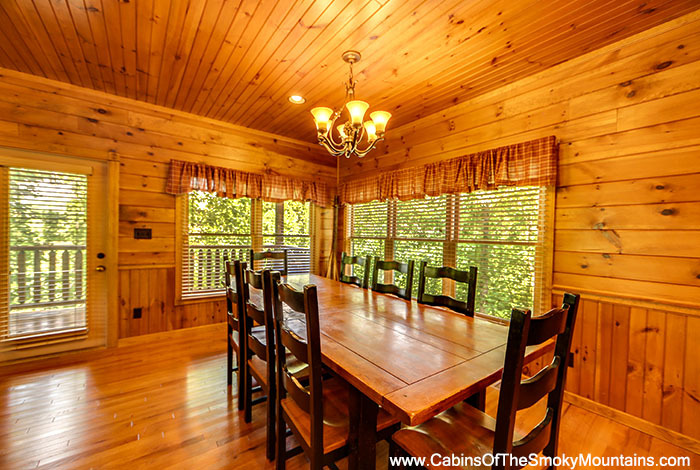 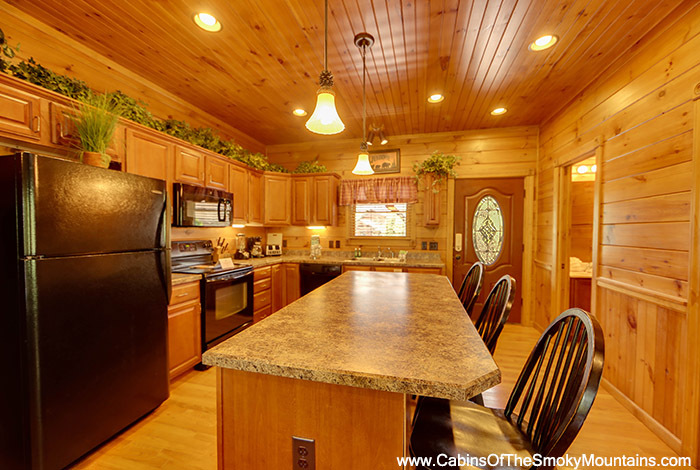 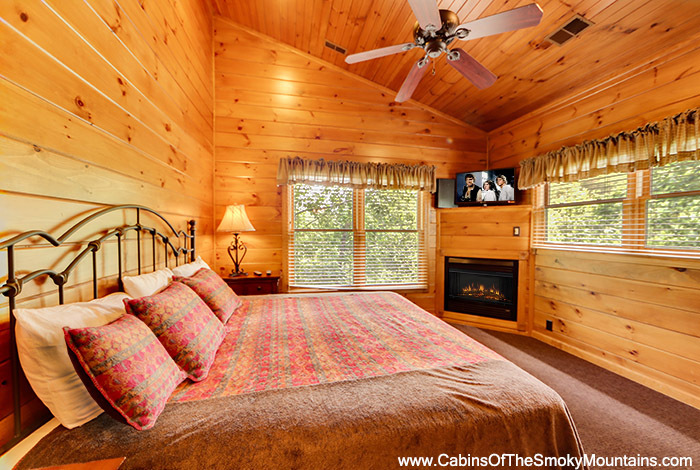 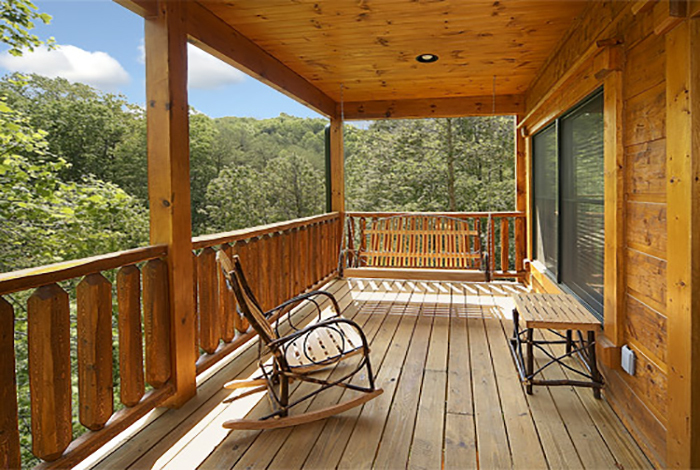 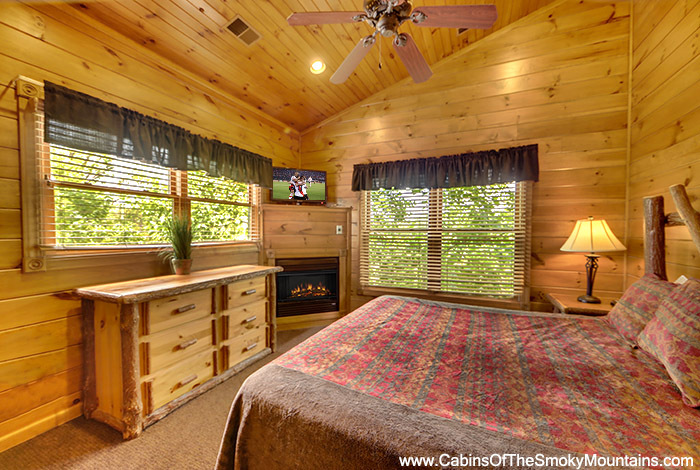 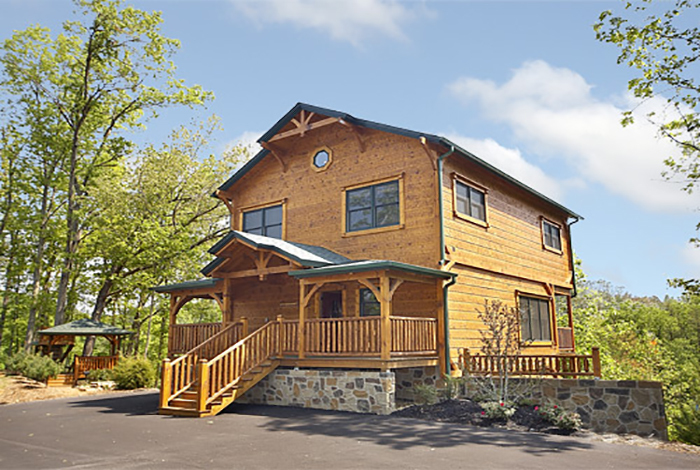 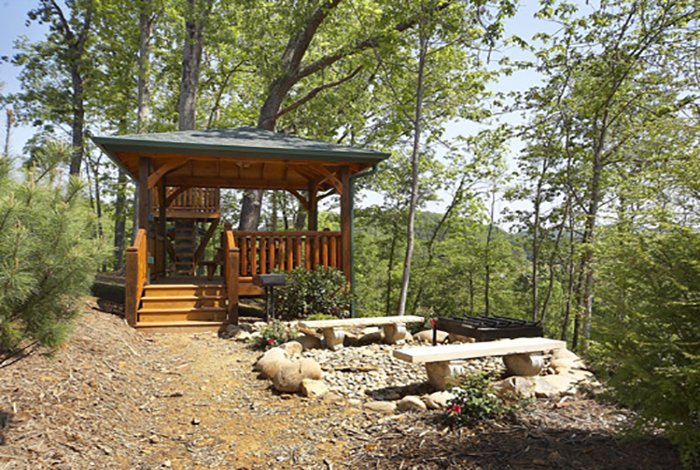 This 3 bedroom luxury Gatlinburg cabin rental has everything needed to make your next Smoky Mountain retreat the getaway of a lifetime. 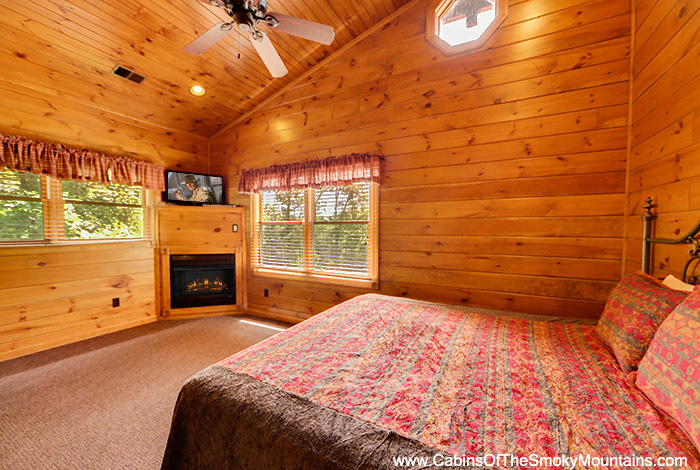 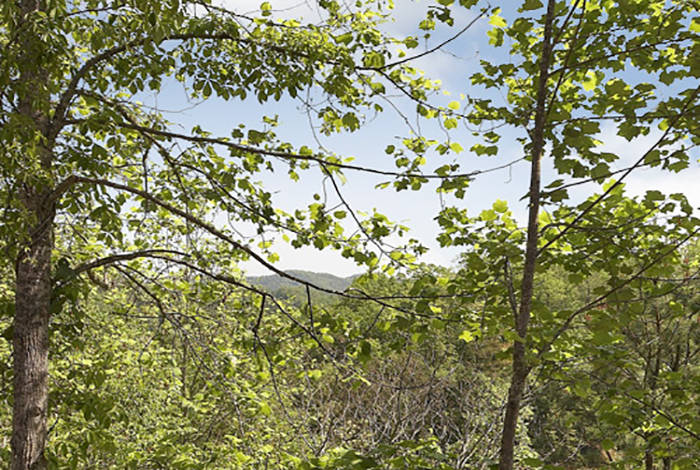 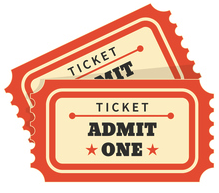 The Treehouse is located in the pristine Gatlinburg Falls at the Park resort, which means the attractions of downtown Gatlinburg and Pigeon Forge sit just minutes away. 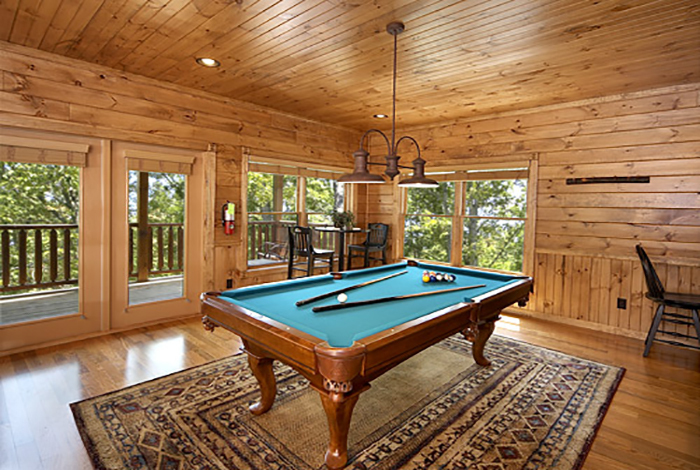 But why would you want to leave with amenities like this? 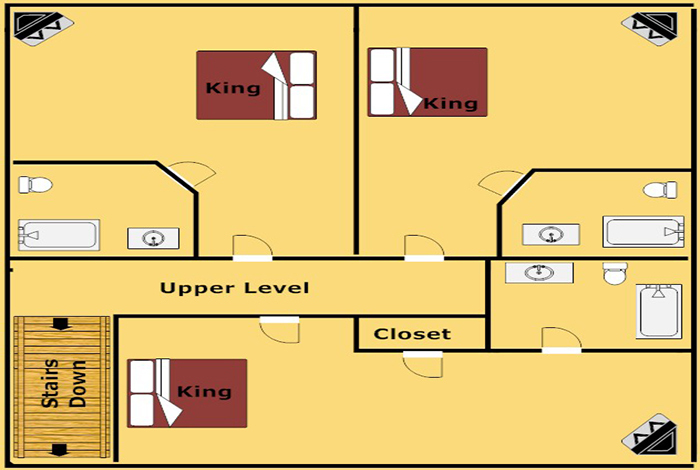 Up to 10 guests can be comfortably accommodated with its 3 king bedrooms and 2 queen sleeper sofas. 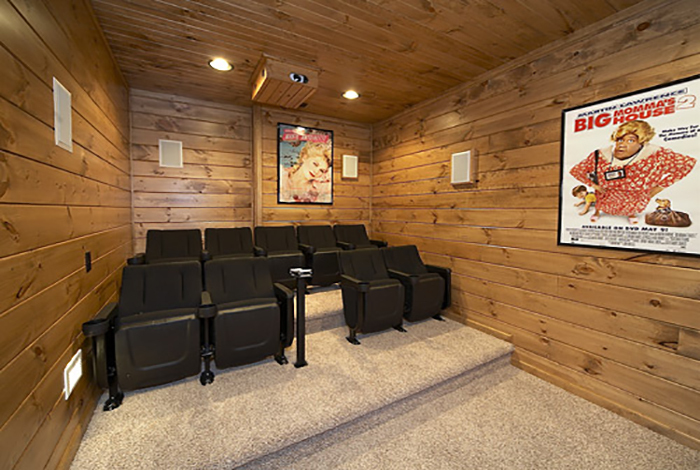 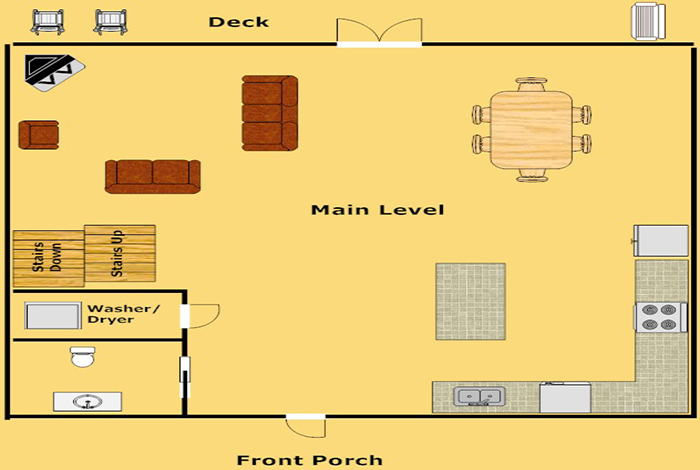 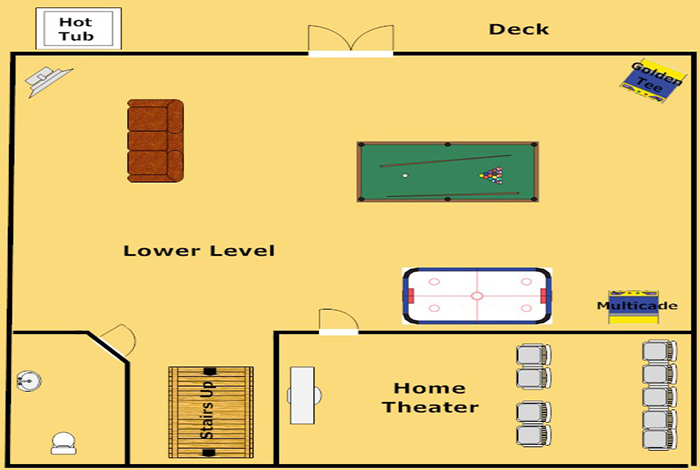 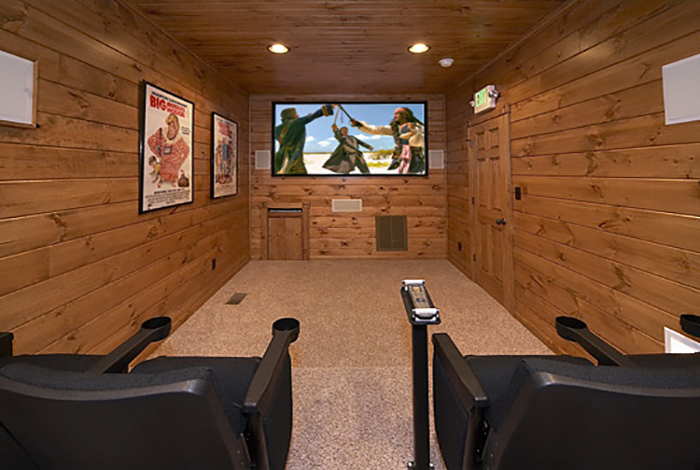 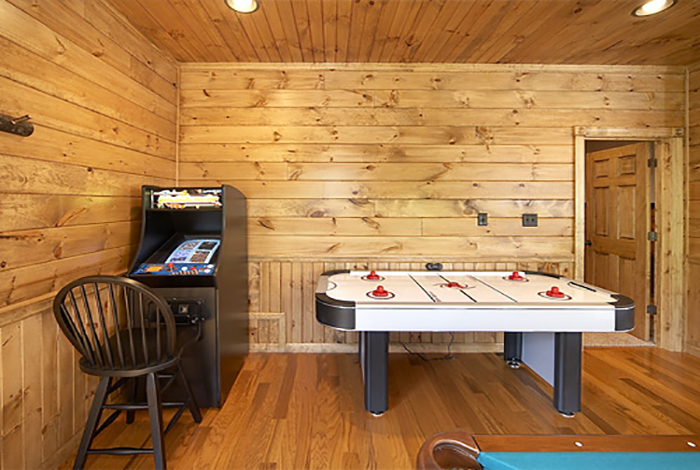 The interior features lodge-style furnishings, 4 fireplaces, 4 TVs with premium cable, Home Theater, and game room stocked with Pool Table, Golden Tee, Air Hockey, and Multicade featuring over 20 arcade games. 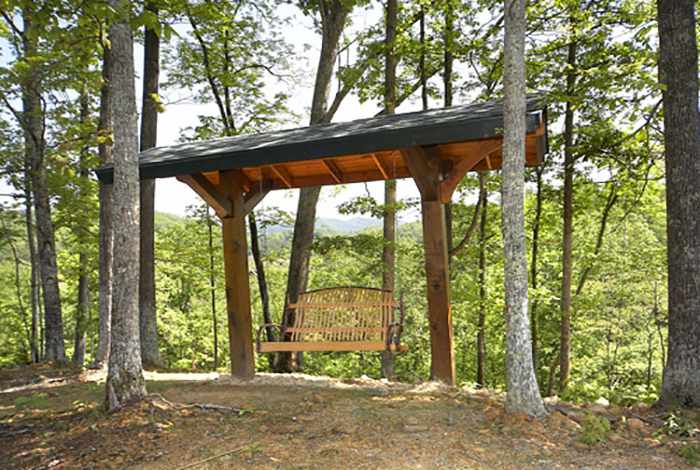 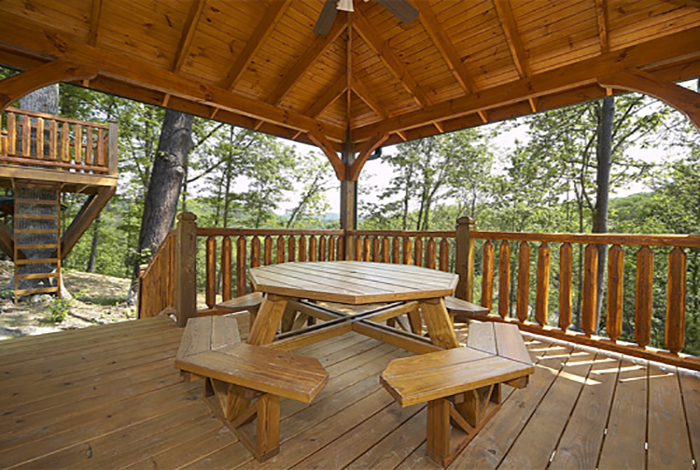 Wooded park-style views can be enjoyed while relaxing in the Amish rocking chairs and hot tub on the deck, or while gathering at the covered picnic pavilion, fire pit, charcoal BBQ, or an outdoor park swing. 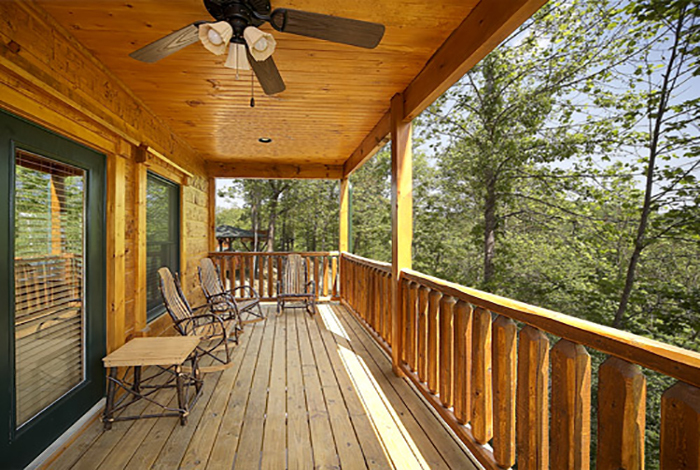 So come enjoy a stay at The Treehouse and find your family’s favorite vacation spot for years to come.